Imagine that you are a diabetic. Except you can’t speak English, don’t read, and don’t have any food in the cupboard. It’s a scenario likely to end in an emergency room visit, and is a predicament that Massachusetts-based Community Servings, and more recently Harvard Law’s Center for Health Law and Policy Innovation, is seeking to alleviate. The two organizations have partnered together in a recently released study to prove why food is medicine, and to encourage insurance providers and hospitals to help pay for medically tailored meals. Is Obamacare Living Up to Its Preexisting-Conditions Promise? On Monday, June 23, 2014, the Conservation Law Foundation (CLF) officially launched the Legal Services Food Hub (LSFH), a free legal services clearinghouse for farmers, food entrepreneurs, and food-related organizations. 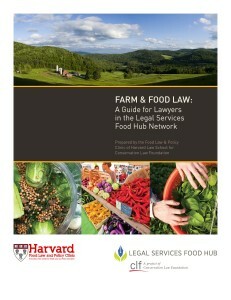 The Harvard Food Law & Policy Clinic (FLPC) collaborated with CLF to create Farm & Food Law: A Guide for Lawyers in the Legal Services Food Hub Network. 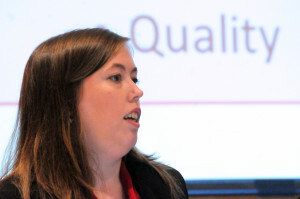 Alli Condra, Clinical Fellow at FLPC, presented the content of the first version of the Farm & Food Law Guide with the help of two summer interns, Graham Downey and Kate Giessel. A recent survey found that only 10% of farmers seek out legal services, as compared to 70% of small business owners in other industries. The LSFH seeks to increase this percentage by training attorneys on agriculture- and food-specific issues, and then connecting them to small-scale farmers and food entrepreneurs who could benefit from pro bono transactional legal services. The Farm & Food Law Guide is meant to be a resource for attorneys in the LSFH network, providing some context for their work with LSFH clients. The first version of the Farm & Food Law Guide includes four chapters: Massachusetts Farming and Local Food Economy; Business Structures; Food Safety; and, Farm Transitions. The Farm & Food Law Guide itself is a work in progress; additional chapters are forthcoming and will take a more in-depth look at the legal issues that small-scale farmers and food entrepreneurs in Massachusetts face. In addition to an introduction to the substance of the Farm & Food Law Guide, those in attendance were given an overview of agriculture in Massachusetts, with a focus on some of its more unique aspects. For example, Massachusetts ranks number one in the nation in the percentage of farms that operate a CSA. Also presenting at the launch were representatives from CLF, New England Farmers Union, Stonyfield Farms, and Nixon Peabody. Nearly 75 attorneys and other professionals attended the event, which was held at the Nixon Peabody offices in downtown Boston. Version one of the Farm & Food Law Guide is available online at: www.bit.ly.lsfhguide. For more information on the LSFH, visit www.legalservicesfoodhub.org. Shortly after criticizing Massachusetts for incarcerating innocent individuals with substance use disorder (SUD) when drug rehab facilities are full, I received an email from a woman who lost her son to a heroin overdose just four months ago. “Is preventing an overdose by detaining the SUD sufferer not a better alternative than leaving them to languish?” she asked. She had found her 24 year-old son cold and blue, just hours after kissing him goodnight. He had been evicted from his sober living home for testing positive for drugs, but his mother did not know he had relapsed when he arrived at her front door. He was, in hindsight, a clear danger to himself – so why did his step-down house let him wander away? Why didn’t anyone call the authorities? Is jail not better than death? Her question captures the crux of our warped approach to SUD. In what other scenario would a grieving family member have to ponder whether a deceased patient would’ve been better off dead or incarcerated? Cancer? Cardiovascular disease? Diabetes? The comparison would be ludicrous. Unfortunately, her inquiry is not absurd. Her son would probably still be alive had he been committed (in Massachusetts, incarcerated) for his relapse. To a mother who has lost her child, that is undeniably the better option. Yet it is neither Constitutional nor humane. Those with SUD need healthcare just like all others. But more often than not, it is not available. Instead there is death or jail. The Wisconsin Law Review has just published “Food Law & Policy: The Fertile Field’s Origins & First Decade“–an article co-authored by FLPC Director Emily Broad Leib and Baylen Linnekin, Executive Director of Keep Food Legal, a national nonprofit devoted to food freedom. The article is the first to describe the history and development of the ten-year-old field of Food Law & Policy. That field, as the authors define it, “is the study of the basis and impact of those laws and regulations that govern the entire ‘food system’”–including not just federal laws and regulations but those at the state and local levels. In what is likely a first for legal scholarship, the article also features a 7-minute video companion, which is directed by American University Prof. Leena Jayaswal and co-produced by Linnekin, Broad Leib, and Jayaswal. It features Linnekin, Broad Leib, and several of the key players in the development of Food Law & Policy–including Harvard Law Prof. Peter Barton Hutt; Drake Law Prof. Neil Hamilton, Arkansas Law Prof. Susan Schneider, and UCLA Law Prof. Michael Roberts. As Linnekin and Broad Leib detail in the article, Food Law & Policy has been a growing and welcome addition at law schools around the country. A recent Harvard Law School publication noted, for example, that there is “no hotter topic in law schools right now than food law and policy.” With this groundbreaking new article and video companion and the spread of law school courses focused on Food Law & Policy, we are confident this field will only continue to grow in scope and importance over the next decade. To read the full article in the Wisconsin Law Review, see Baylen J. Linnekin & Emily M. Broad Leib, “Food Law & Policy: The Fertile Field’s Origins and First Decade,” 2014 Wis. L. Rev. 557 (2014). Can there be a silver lining to a drug epidemic that is so extreme it is deemed a public health emergency? As prescription opioid (painkiller) addictions drive individuals to heroin, there just might be. 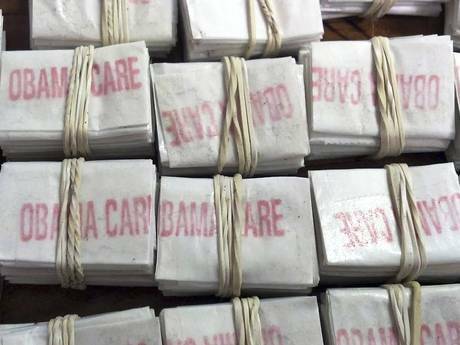 Heroin use has surged recently – seizures of supply increased by nearly 70% over the last few years in New York (the epicenter for imports into the United States). In Boston, overdoses increased by nearly 80% between 2010 and 2012. This has followed a rising trend in prescription opioid addictions – 4 out of 5 users are addicted to prescription painkillers when they first try heroin. Turning to the street opioid is often a move of desperation; prescription opioids are now harder to abuse, more expensive, and harder to obtain than heroin. In other words, heroin provides a cheaper, easier to score, and stronger high. This surge in use is changing the face of heroin; the Office of National Drug Control Policy’s director recently described the drug as a former “inner city problem” that has become classless, affecting “all populations and all ages.” To be blunt, white people – many with high paying jobs and fancy apartments – are now doing 8 to 10 bags a day. This has the nation’s attention. With a changing demographic, our perceptions of drug abuse are shifting – from viewing addiction no longer as a crime implicating incarceration, but as an illness implicating treatment. 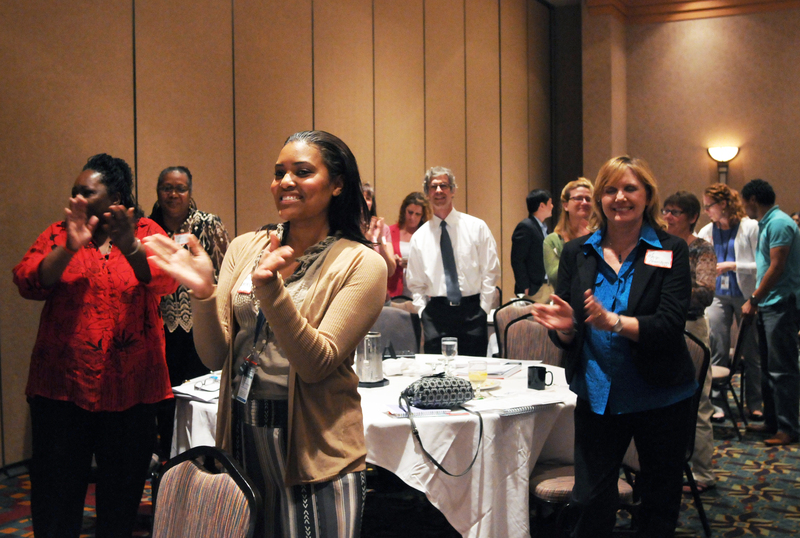 The Commonwealth is heralded as a beacon of hope for healthcare reform. Since enacting an Affordable Care Act-like law in 2006, Massachusetts saw death rates fall by up to 4.5% in just four years, particularly in counties where many were newly insured. The state now has the lowest rate of uninsured residents in the country. Yet Massachusetts left one set of patients out to dry – those with substance use disorder (SUD). In fact, Massachusetts is the only state in the nation that incarcerates innocent individuals when inpatient beds are unavailable (i.e., those who have committed no crime but are deemed to be a danger to themselves or others). Let’s imagine you are a Massachusetts resident with an alcohol or drug addiction. You are likely insured, but cannot or have not obtained treatment. Anyone who suspects you to be suffering from SUD can file a petition to have you committed (e.g., police officer, physician, spouse, relative) – thus triggering a summons to appear in court. A failure to appear before a judge results in automatic issue of a warrant for your arrest – not for a crime, but for suffering from an untreated illness. We know that incarceration does not treat, and may well exacerbate, SUD. In fact, substance abuse is disproportionately prevalent in prisons, affecting 80% of inmates. Now, eight years after Massachusetts’s healthcare overhaul – legislators are starting to take notice. Once again, healthcare is following the money. Perhaps not coincidently, Massachusetts legislators are viewing SUD in a new light. Governor Patrick recently approved $20 million in treatment funding – a tiny, but significant, step towards keeping the innocent out of jail. The state’s House and Senate are addressing the issue as well. For example, pending bills propose limiting incarceration for SUD to 10 days (currently a patient can be jailed for up to 90) and increasing insurance coverage of SUD treatment by both public and private plans. Lawmakers are acting in accordance with public support; 83% of those polled in 2013 agreed that treating, rather than criminalizing, SUD would reduce crime. Budgetary constraints are also at play; the Commonwealth spends over $47,000 per year on each inmate. Perhaps, as heroin addiction becomes a (very public) white person problem, Massachusetts will lead the nation not just in healthcare reform, but also in recognizing SUD as an illness just like any other. That, indeed, would be a silver lining to a devastating public health problem. 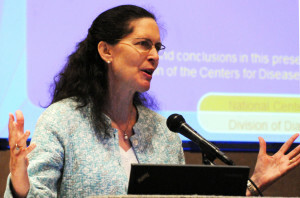 *This blog post originally appeared on Harvard Law School’s Petrie-Flom Center Bill of Health. The Center for Health Law and Policy Innovation (CHLPI) of Harvard Law School released the report Food is Medicine: Opportunities in Public and Private Health Care for Supporting Nutritional Counseling and Medically Tailored, Home-Delivered Meals. 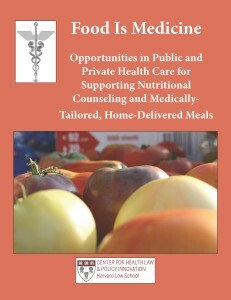 The report, funded in part by the M·A·C AIDS Fund, examines ways in which public and private health care programs like Medicaid, Medicare and new marketplace health insurance plans can support access to nutritional counseling and medically tailored home-delivered meals within their systems. “We are at a unique point in time, when new health policy reforms, both within and outside of the Affordable Care Act, have opened the door for the inclusion of innovative services that both improve health outcomes and ultimately reduce health care costs,” said Robert Greenwald, Director of the Center. For critically and chronically ill individuals, food is medicine. With adequate amounts of nutritious food, people who are sick have a better response to medication, maintain and gain strength, and have improved chances of recovery. Despite this connection, support for these services has been largely divorced from our health care systems, limiting access in many cases to individuals who are elderly and disabled. The nonprofit organization Community Servings in Boston, Massachusetts, has long understood this relationship between food and medicine, and has been providing nutritional counseling and medically-tailored home-delivered meals to individuals living with HIV and other chronic and critical illnesses for many years. Yet, Community Servings and similar organizations across the country have traditionally been reliant exclusively on support from private charitable donations and periodic grants, in addition to the federal Ryan White AIDS Program (serving people living with HIV), a model that is ultimately unsustainable and forces many organizations to limit the numbers of individuals they can serve. “This report assists organizations like ours in understanding how different kinds of health care systems work. It also makes recommendations for how we can form partnerships with public and private health insurance programs and work towards integration of our services into new models of care,” said David Waters, CEO of Community Servings. The Food is Medicine report is available for download on the Center for Health Law and Policy Innovation website at www.chlpi.org.